In 2 Kings chapter 4, a distressed widow sought Prophet Elisha's help after her husband's death because her creditor was coming to "repossess" her sons so that they could be his slaves. She rushed to the man of God and he asked her what she had in her house. She replied "a little oil". He then told her to go and borrow many vessels and pour her little oil into them. This Biblical story teaches us 5 lessons about how to manage their financial stress. This woman rushed to Elisha the man of God for advice. Therefore, if you are in a financial crisis, seek God's opinion first before you rush to your relatives, bankers, or financial planners. Pray and God will tell you who to consult and what you should do. It may have seemed strange to the widow that the man of God wanted her to borrow even more yet she was already up to her neck in debt but she was obedient and did what Elisha said. As a result of this, we can see that the measure of her obedience was in direct proportion to the measure of assistance she received to resolve her stressful solution. This is because her little oil stopped flowing into her borrowed vessels when she had filled the last borrowed vessel. Therefore, if she had borrowed many empty vessels, in obedience to the man of God, then she got a lot of oil to sell and therefore more money to pay her debts and save her sons from her creditor. But if she had second guessed him and borrowed just a few vessels, then she got just a little oil. So, once you pray and God shows you what you should do, obey Him even if you do not understand how what He is telling you to do can solve your urgent financial crisis. The widow began working with the little oil that she had at home. Therefore, know that you do not have to run around looking for a big solution to your big problem if you obey our big God. Begin working on your "little" talent of baking pies or drawing cards or doing whatever you can at home and it will begin solving your big financial problem. Elisha told the woman to pour our her little oil into other vessels. Therefore, know that you have to share your talent or your anointing with others. Do not hoard it for in giving you shall receive. This "pouring out" also applies to pouring your "little" money into the big vessels of multimillion-dollar ministries that are helping people around the world such as those of Benny Hinn, TD Jakes and Joyce Meyer. So pray and ask God to show you the big vessel that He wants you to pour your "little" money into. 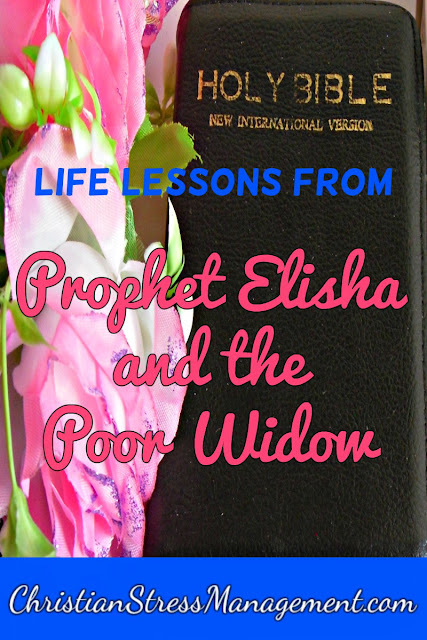 In this spirit of giving, I will be giving away a copy of my ebook 10 LIFE LESSONS FROM PROPHET ELIJAH AND THE POOR WIDOW to everyone who comments on this post. This woman’s neighbors may not have understood why she was still borrowing and yet she could not pay the debts that she already had. They may have even advised her against borrowing anymore but she had to be obedient and do what the man of God had told her. Therefore, if you have received a word from God or a servant of God, excecute it exemplarily. Ignore the doubting Thomases and Thomasinas around you who want to see the oil flowing first before they start looking for the jars. Don't even waste your time trying to make them understand what you are doing if they can't undestand the simple two-word phrase of "God Said". Decide to walk by faith and in obedience to God even if you have no social support. Glory be to God for His Word is still active, living and relevant today though it was written thousands of years ago. This is good advice! 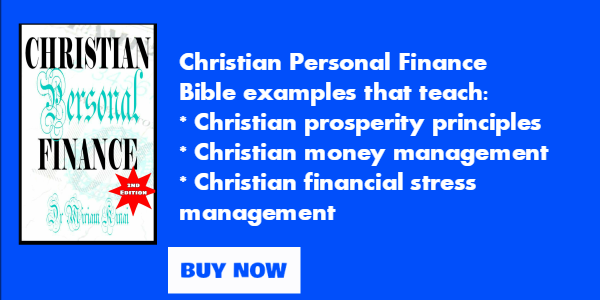 Interesting to think back now about the lack of explanations regarding finances from a Christian point of view back in the day when I was a kid. Thank you for posting this and thank you also for following my blog. I would not have found you otherwise. I am SO in agreement with what you wrote. Obedience in even the smallest details can bring such blessings!I am finding that out more and more. God bless you for giving and I want to seek His will in my life in the area of giving; To see if there is something more that I should be giving. Truth is...you cannot out-give God. Hello, thanks for stopping by at my blog, it's good to see the Spirit moving. Thanks for your obedience in sharing. This was a very good post that I needed to hear. praise God! Keep on keepin' on beloved! Thanks for the encouragement. 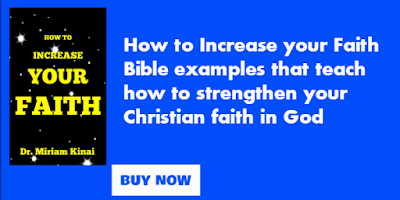 Please send me your email address at almasihealthcare@yahoo.com so that I can send you your free copy of MANAGING STRESS WITH THE WORD OF GOD.